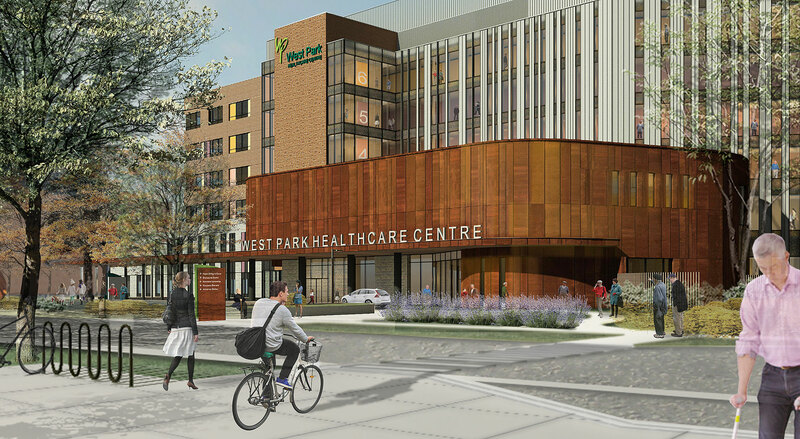 Located on a secluded bank overlooking the Humber River, West Park Health Centre has an illustrious history that dates back to the early twentieth century. 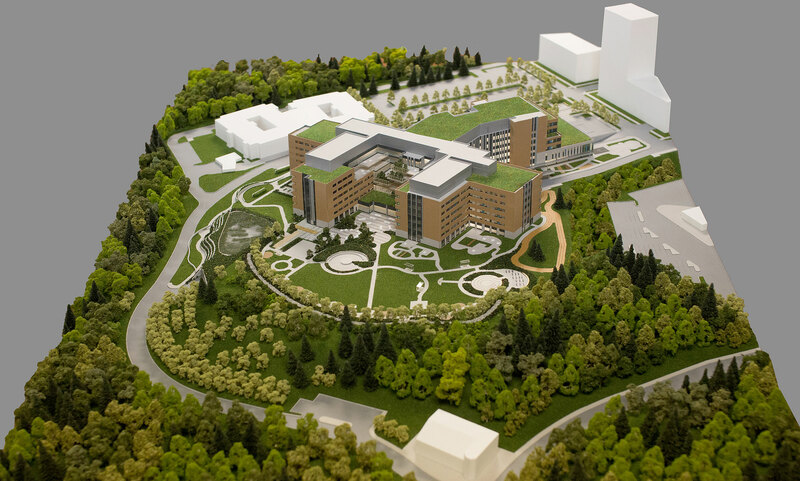 Its latest investment, a new 730,000 ft2 ambulatory care centre will replace a series of aging hospital buildings that currently line the perimeter of the campus-like site. 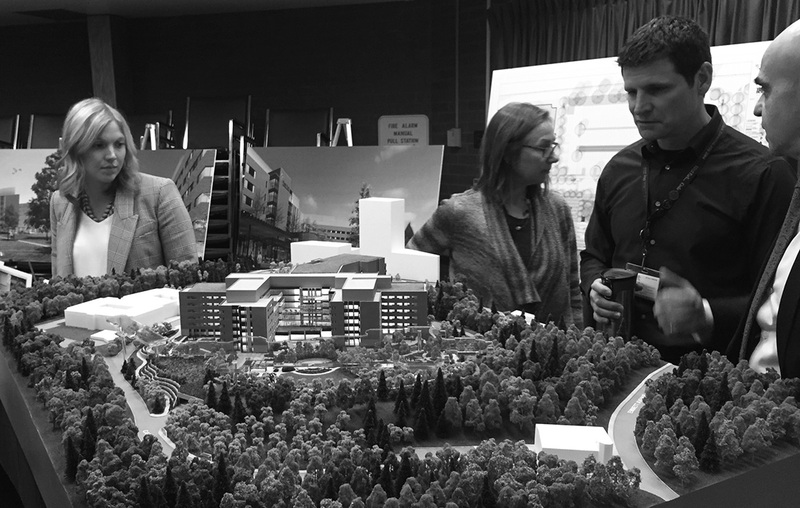 The building’s massing is composed of three interconnected wings – one dedicated to outpatient services and two, to inpatient services. 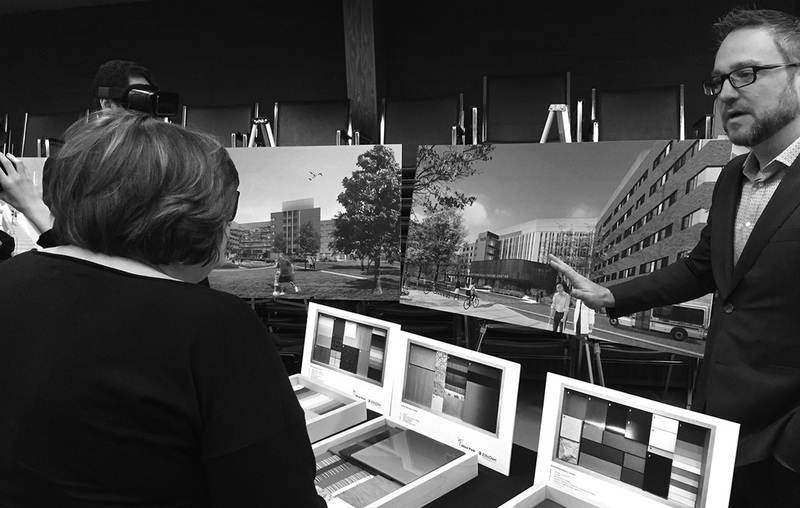 Patrons access the building through the prominent Muntz-clad entry pavilion, either curbside or by shuttle elevator from the parking garage. 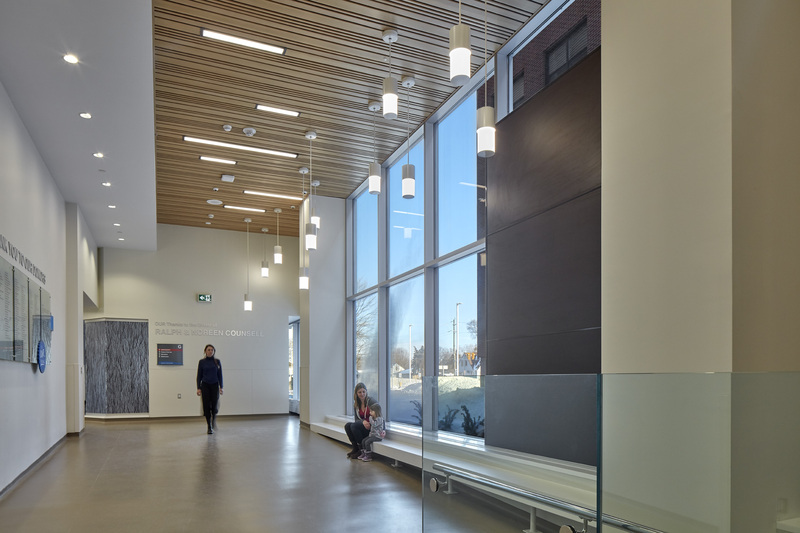 A landmark structure at the building’s pivot point, the pavilion features a range of public amenities, including a resource centre, spiritual care centre, museum, piano lounge, fireplace lounge, reception area and, on the second level accessible via a feature stair, a large auditorium. 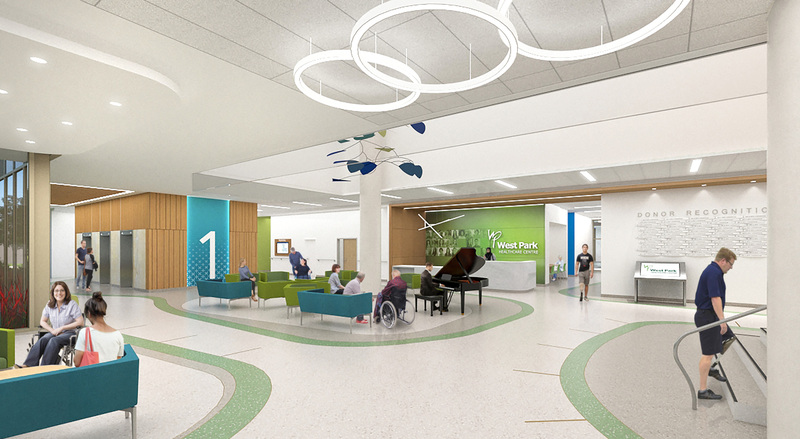 The outpatient wing houses a number of specialty spaces at grade as part of its Rehab Plus Centre, including a rehab gym, wellness area and therapeutic pool. 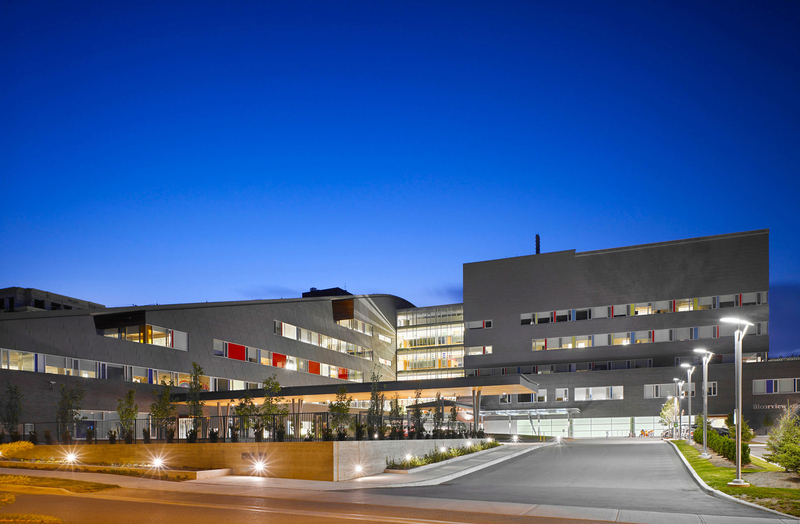 Upper levels accommodate clinical and administrative functions, a day hospital, lab and imaging suites and research offices. 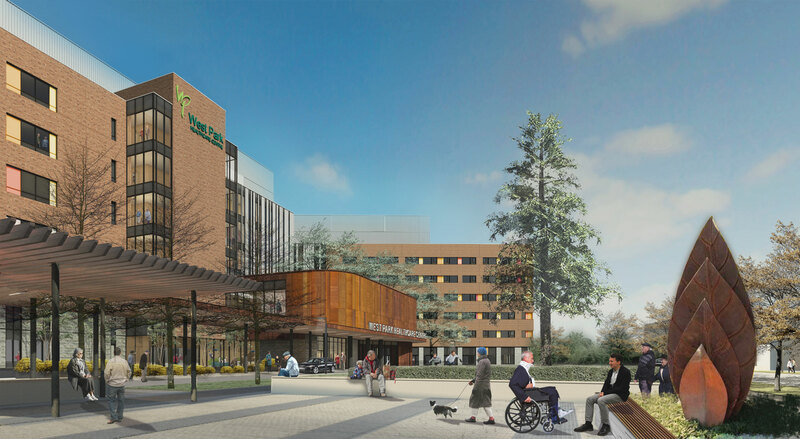 Inpatient wings accommodate a total of 12 injury-specific recovery units – one per level – ranging from 20 to 32 beds. Units are staked and wings, mirrored to improve efficiency. 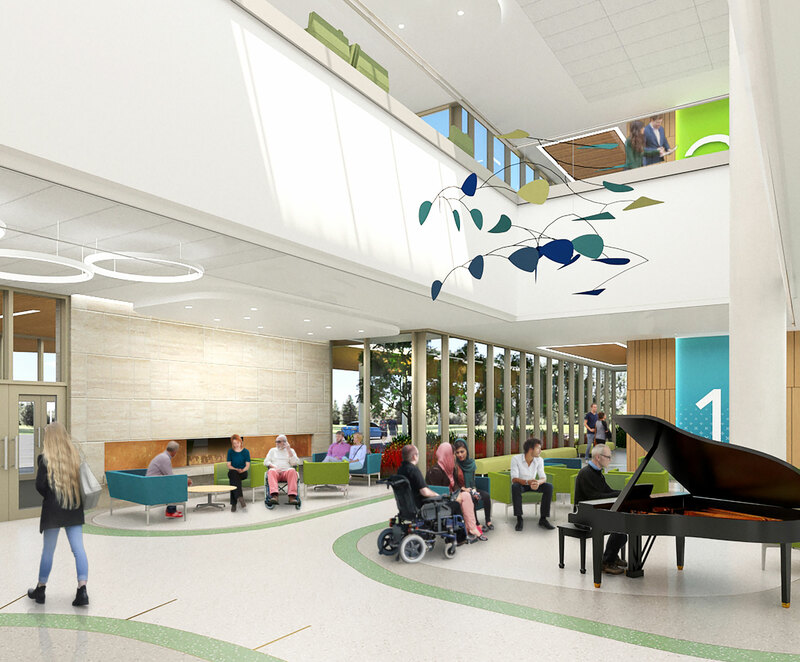 The new hospital building features a robust landscape design, with designated outdoor garden spaces to match each of its indoor public and therapeutic spaces. 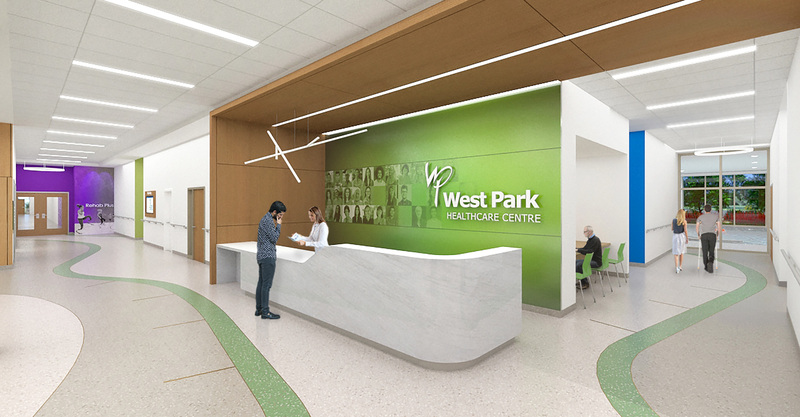 These spaces have been carefully conceived to respond to the unique needs of the many different programs and their patients, and interconnect via a series of new walking trails that navigate the west lawn. 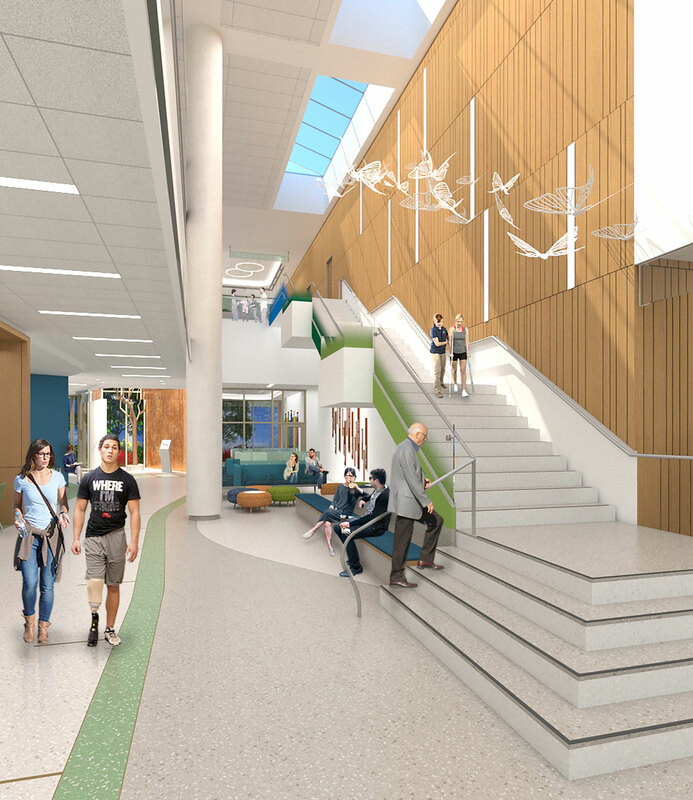 The building also includes a number of outdoor terraces to allow patients on each of the upper levels ready access to nature and the scenic views of the watershed. 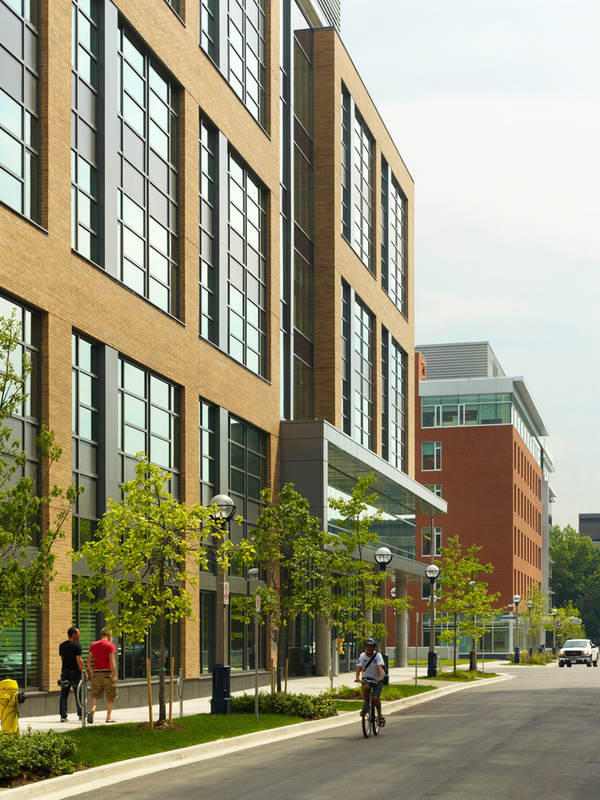 The project is targeting LEED Silver certification.